A deep, dark and slightly sweet tobacco flavour with a good throat hit and plenty of thick vapour. Not for the faint hearted this aromatic dark rich tobacco flavour will suit vapers who prefer the darker style of tobacco. A very popular choice for vapers that prefer a dark tobacco flavoured vape. Dark Hilton is produced by The Vape Shop in the UK using only the finest USP pharmaceutical grade ingredients. What Is Dark Hilton Tobacco Juice Like To Vape? When you vape this tobacco style ejuice you will experience an oriental tobacco flavour fill up your mouth. It's an unsweetened tobacco flavour with a deep rich spicy taste. The inhale is strong and the taste distinct leaving your taste buds certain of a tobacco experience. The exhale is just as potent as the inhale and the vapour it creates leaves an oriental tobacco scent. Is Vaping Dark Hilton Safe For Vegans & Vegetarians? 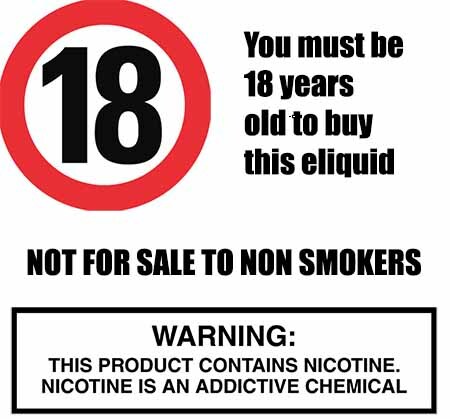 Our range of tobacco flavoured e liquids are all gluten free and suitable for vegetarians, and vegans. You can rest assured when purchasing this e liquid flavor that it contains only the purest ingredients.